Death. Just reading the word feels heavy in the pit of your stomach. The urge is to back away and scroll on to something else. Grieving the loss of a child has to be the hardest thing anyone could ever do. I am advocating on behalf of those who are grieving. Will you join me to support them in their loss? We’ve all known loss in some way. Whether it be a pet we lost, a marriage or a loved one; you know the pain of grief. Today, I want to acknowledge those among us who have experienced a depth of loss which most of us cannot comprehend. Those who have lost a child. Too often, these parents are grieving the loss of a child and suffering in silence. They feel like their heart has been ripped from their chest and they can’t catch their breath. I know it’s hard to think of these things and move towards the topic of death. And, that is what I am asking of you. As their friends, family, neighbors, and co-workers, I am enrolling YOU to support them in their grief. You think of them and talk in whispers at the nail salon, grocery store, or charity event. They need our love and attention. They need us to face our discomfort. And by doing this, you will be healing your personal grief. Because we are a culture of avoiding painful feelings and you have your own deeply stuffed feelings of fear, sadness, and loss. That is the number one reason it is so difficult to face other people’s pain because you can’t easily avoid your own. Sit with them and hug them. Make it clear that you want to hear the stories; the joyful and the sad. Be willing to call deep on your courage to do so. Be willing to be with them in their tears. Over and over. Listen to their most profound struggles while grieving the loss of a child. Guilt and regret are some of those struggles. No matter the age of their child, they get stuck in the coulda, shoulda, woulda mindset. There is an inherent belief that a parent must protect their child. Outliving your child feels like an automatic failure of epic proportions. While you may not know their specific struggle, you can relate to feeling guilt and failure. What do you need or want most in times of alleged failure? For me, the answer would be acceptance, forgiveness or love. Whatever your response, I want you to offer it to someone who is struggling with the loss of a child. Missing Your Child. Every. Day. Also, they deeply miss their son or daughter. But broaching the topic with you is so taboo, complicated, uncertain. Or, will they burst into tears? Will it bring up feelings that no one wants to express in a public place? They don’t want to burden you. And, they are pretty sure you are going to say something completely unhelpful. Let’s not avert our eyes, change the subject or pretend as though it’s not happening. It’s ok if you don’t know what to say next. 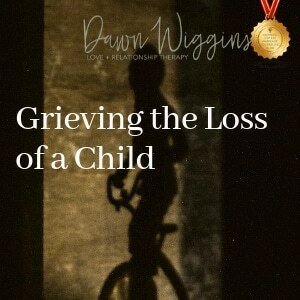 Grieving the loss of a child is deep and complicated, there is no perfect thing to say. So remember, as fellow humans, we are stronger together. There is great healing power in grieving together. It takes some of the sting out of death. I’m not saying this will be easy; I’m saying it’s worth it. So, thanks in advance for all of the love you are going to spread. I am deeply grateful to you.